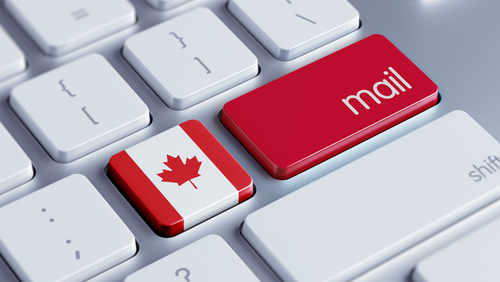 How Will the Canadian Anti-Spam Law Affect Your Email Marketing? The Canadian Anti-Spam Law (CASL), which went into effect July 1st 2014, places restrictions on how companies can send Commercial Electronic Messages (CEMs) to Canadians. The law states that CEMs can only be sent to recipients who have opted-in and implicitly or expressly consented to receive these messages. What exactly are these two forms of consent? Implied consent occurs when consent is not specifically given but is considered to have occurred. The CASL states that implied consent would occur when a recipient purchases a product or makes a business deal with the sender. It is important to note that implicit consent is further segmented by stating that it is only valid for a 24-month period after the initial exchange with the recipient. It is also important to note that pre-checking a subscription box does not count as express consent. For the most part, CASL is an attempt to stop unsolicited spamming and malware emails. Unfortunately, the negative side effect of this change is that email marketers need to be careful and make sure they are receiving proper consent before hitting send. The penalties for being found in violation can reach as much as $10 million! That’s a business expense you won’t want to add! As long as your subscribers were brought in organically through inbound, i.e. filled out a form on your site asking them to subscribe (and they opted in), then you should be in compliance with CASL. If lists of Canadian email addresses were purchased or scraped from other websites, then these contacts will need to be cleansed from your subscriber lists. For all contacts that implicitly consented before the law went into effect, you have until July 1, 2017 to receive express consent from these contacts. The best way of achieving this would be to build a Smart List for Canadian contacts and send them an email asking to opt-in to gain their expressive consent. CASL does not penalize those who follow appropriate contact gathering practices. It is important to remember that while these implications only apply to CEMs directed at Canadian recipients, the general practices that CASL attempts to quell are malicious and can negatively affect your search rankings and online reputation. All messages sent must include your name, physical mailing address, telephone number, email, and website URL. All messages must contain an unsubscribe mechanism and all subscriptions must be processed within 10 days. For Full Documentation of the CASL click here.